Affordable wedding cake prices depend on a few factors. 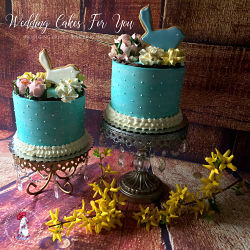 Keep in mind that your wedding cake will leave an impression on your guests. It's the final thing that they will see and eat at your wedding, so try not to skimp on it. Having said that, there are still ways to save money when deciding upon your very special first dessert together as a couple. You will want to slice and serve your very first piece together. 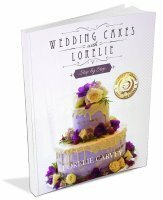 Here are my steps and tips on how to cut a wedding cake. 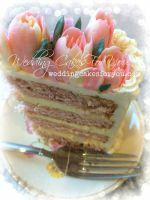 Tip #1 - The bride and groom usually cut their pieces from the bottom tier and save the top tier for the first year anniversary. Tip #2 - Have some hot water and a damp cloth handy to clean and wipe off any cake or frosting that may cling to the knife between each cutting. 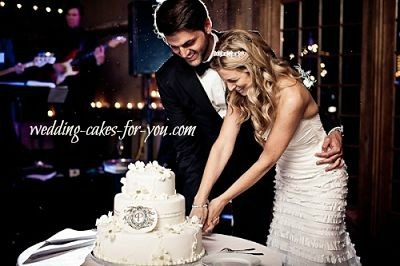 Tip #3 - Take the cake out of view after the bride and groom share their slice to cut the remaining cake. Step one - when cutting a wedding cake is to remove the top tier. This one is saved for the bride and groom's first anniversary. Step three - Repeat for the bottom tier. You will be able to cut several circles within the larger cakes. See the full blog post at Junebug Weddings about Adrienne and Sean's wedding celebration at Winvian here. 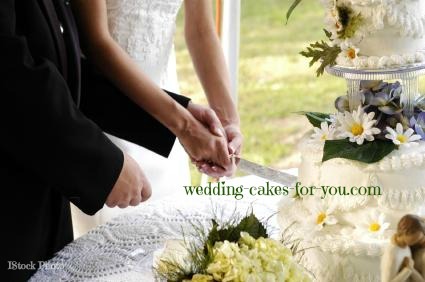 At Wedding Cakes For You each design is priced individually. ﻿See Testimonials from my brides. Here is a guide to help you with some of your decision making. 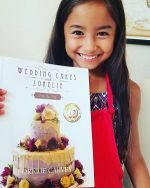 Wedding Cake Prices vary considerably depending on where you live, wedding cake designs and type of decoration, wedding cake flavor choice and who you hire. The prices can range from $2.50 per slice to $10.00 or more. pick up the cake yourself, or have a friend pick it up for you. supply your own fresh picked flowers from your garden or a friends garden. Go to frugal living now for more frugal wedding ideas. 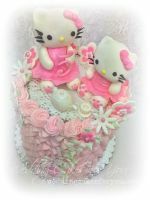 fancy embellishments such as sugar paste flowers or complex designs. wedding cakes with fountains or stairs. 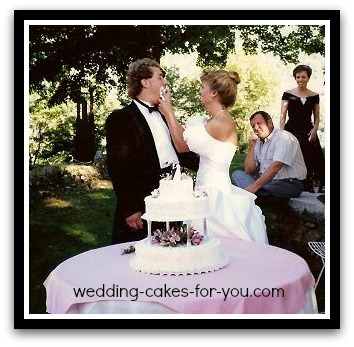 Click the pic to see what Wedding Cakes For You offers flavor wise. 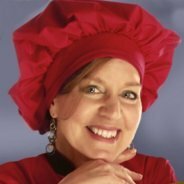 The most popular and my favorites are listed on the menu, But if you have a favorite that you would like to see on the menu don't hesitate to ask.